What should I look after surgery? Any swelling can be treated with cold compresses. In case of pain, the dentist will prescribe the appropriate pain reliever. In the early weeks, when brushing your teeth, avoid the area operated on, and use an antibacterial mouthwash. You can then use a toothbrush with soft bristles special area around the wound. Avoid coffee, alcohol and cigarettes for 2-3 days after surgery. This reduces the risk of post-operative bleeding and improves wound healing. Smoking and inadequate oral hygiene can have a significant negative impact on the outcome of therapy. 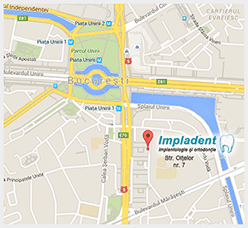 It is essential to show up by your dentist for checkups even if the recovery proceeds without problems.